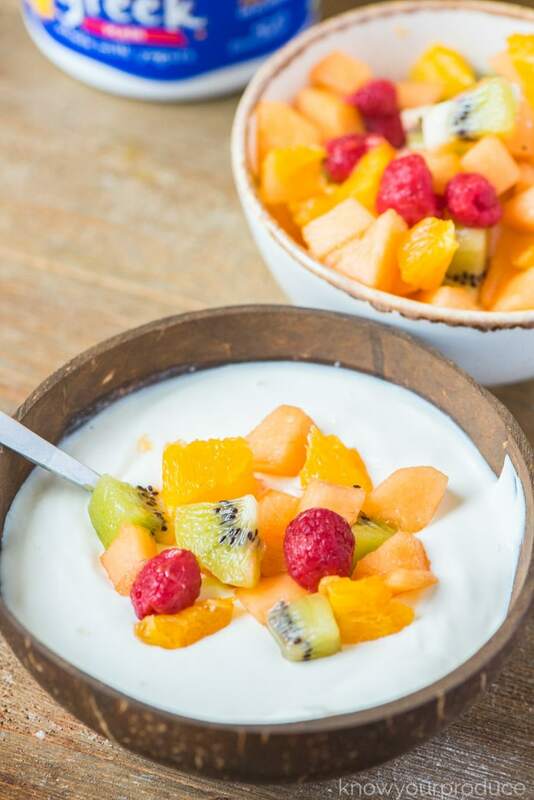 Everyone loves a healthy fruit salad and this no sugar added fruit salad hits the spot! 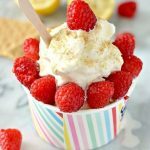 It’s full of flavor and only uses natural sugar from fresh fruit! 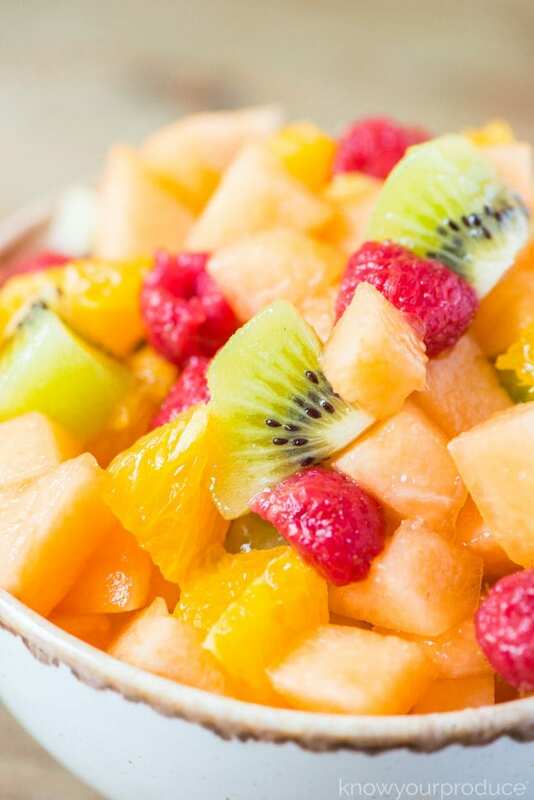 Melon fruit salad is great for summer as melon contains tons of water, it’s hydrating and refreshing! 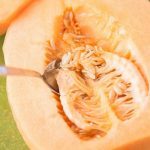 Ripe cantaloupe is super sweet and full of flavor. Pair that with the tart raspberries, citrusy orange, ripe kiwi, and vanilla, it’s a flavor explosion, a very good one! 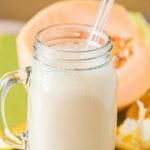 read all about cantaloupe – in this post, you will learn how to pick out a cantaloupe, how to use it, and more cantaloupe recipes. 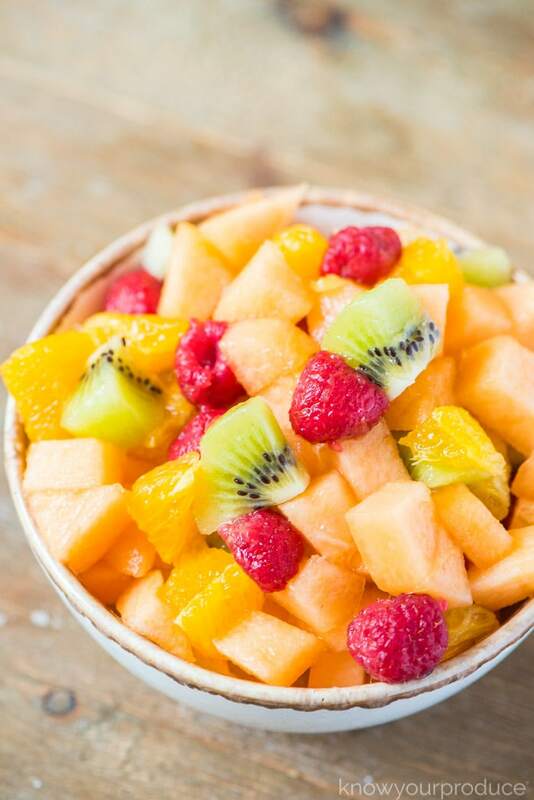 5 simple ingredients to make a fresh fruit salad with no sugar added! Once the cantaloupe is chopped you can peel and chop up your orange and kiwi. Raspberries are just washed and placed in and vanilla is just pouring right in. 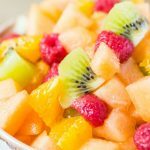 You can make a huge batch of this for potlucks, the crowd will go wild for this fresh fruit dish! Can’t finish it up? 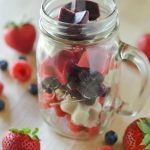 Store in the refrigerator for 2-3 days or even freeze for smoothies! 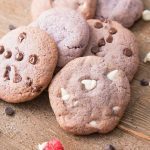 We love having a batch of this in the fridge to spoon over greek yogurt. To turn it into a healthy smoothie you can just mix it with our green smoothie recipe, mixing greens and fruit, the best kinda of smoothie. You don’t want to have too much sugar in your fruit smoothies and this is a great way to reduce the amount of sugar. When you drink you don’t get as full as you would if you eat the fruit whole. 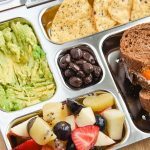 If you want to add some herbs you can add some fresh chopped mint which goes lovely with this salad when served to adults, kids may not like the mint so much. 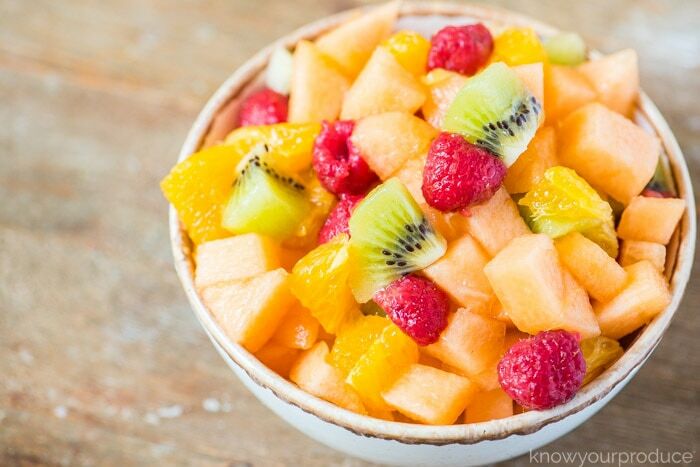 Tip: We like to let the fruit salad sit in the fridge for 30 minutes before serving. This allows the fruits juices to mix together, give a mix before serving and enjoy! 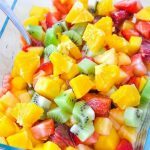 This cantaloupe fruit salad is colorful and refreshing! 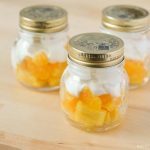 Serve over greek yogurt or just a spoon, it's so good and easy to make! Dice up cantaloupe, orange, and kiwi and place into a bowl. Add the raspberries and vanilla into the bowl. Mix until combined and let sit 30 minutes in the refrigerator before serving.